Below you can meet some of the key people behind Wake Up Schools. This page cannot hope to capture every person who has put time and energy into Wake Up Schools. Brother Pháp Dung is a Vietnamese American monk, ordained by Thay in 1998. He was born in Vietnam in 1969, came to the US when he was nine years old. He received a professional BA in Architecture from the University of Southern California, and worked as an architect/designer for four years before becoming a monk. He enjoys playing, learning and sharing mindfulness with children of all ages. He helped to establish Deer Park Monastery and many other US centers, creating meditation programs and retreats for children, teens, families, and young adults, as well as planning its halls and infrastructures, and has been the abbot of the monastery since 2002. He received the Lamp Transmission from Thích Nhat Hanh and became a Dharma Teacher in 2004. He has led mindfulness retreats in North and South America, China, Hong Kong, India, Bhutan and Germany. He is most inspired by meditation as a method of examining and cultivating the mind, of the individual and of the collective; and by community building as a method to heal and develop society. His current interest involves developing the Wake Up Schools Initiative to bring mental cultivation into all levels of education and collaborating with other institutions and individuals interested in mindfulness and education. One of his deepest aspirations is to create a mindfulness school where all members of the school from the students, teachers, principals, administrators and parents are all practitioners of mindfulness. Bhikkhu (Buddhist monk) Thich Chan Phap Kham has been a disciple of Zen Master Thich Nhat Hanh since 1987. He was ordained a novice monk in 1998, a fully ordained monk in 2000 and a Dharma teacher in 2004. A native of Vietnam, he immigrated to the United States in 1979, studied, and worked as an electronics engineer from 1983-1997. From 1998 to 2004, he practiced at Plum Village’s monasteries in France and in the United States. Since 2005, as member of a team of Plum Village’s Dharma teachers practicing in Asia, he has taught the art of mindful living and helped establish communities of practice in Vietnam, Thailand, Malaysia, Singapore, Indonesia, Hong Kong, Taiwan, the Philippines, Korea, Japan and Australia. He currently serves as Executive Director of the Plum Village Foundation Hong Kong Ltd. and as director of its 4 working units: Asian Institute of Applied Buddhism, Plum Village Mindfulness Academy, Mindfulness Teachers’s Association and Plum Village Mind-Body Well-Being Centre. As a lay person, Thich Chan Phap Kham obtained a BSEE from Virginia Polytechnic Institute and State University in June 1983 and a MSEE from The University of Maryland in May 1986. From 1983 to 1986, he worked at National Institute of Health (in Bethesda, Maryland) and completed his master’s thesis on signal processing methods for Evoked Potentials. Fom 1986 to 1997, he worked at Harry Diamond Laboratories (in Adelphi, Maryland), doing research on radar systems. Brother Stream (Pháp Lưu) is from the US and ordained in 2003. He graduated from Dartmouth College with a B.A. in English Literature in 1997 and also did non-degree study at Yale and Harvard in Buddhist Studies and Sanskrit before ordaining. He taught English as a foreign language in Madrid, Spain, and spent one year working part-time as a teacher in inner-city schools in New Haven, CT. He received the transmission from Thay as a Dharma teacher in 2011, and has taught in North America, Europe, Brazil, Botswana, Southeast Asia and India. He has been active in the Wake Up movement for young people, co-leading two tours in the UK, and one each in the US, Spain and Ireland, to share mindfulness with young adults at universities, and has been working with the Wake Up Schools initiative to bring mindfulness into schools for the past three years. He has a deep aspiration to make the simple practice of mindful breathing and embracing strong emotions available at all levels of education. Brother Phap Lai was 34 when he ordained with Venerable Thich Nhat Hanh (Thay) as a monk in Plum Village France. He left a career in Environmental Protection working for SEPA in Scotland to join the community in 2002. His main passion in life is pure and simple: to offer the gift of the mindfulness teachings to people in ways people can truly benefit them and inspiring others to do the same. He feels very grateful to the monks way of life which allows him to live out this aspiration. Br Phap Lai has led the 4 week summer teen programme in Plum Village and been involved with the Wake Up Schools initiative from its beginnings. He has helped organize and lead numerous retreats for Educators in Plum Village, India, the UK, Thailand and Canada. Helping develop the collaboration between Wake Up Schools and The Dharma School (primary) in Brighton, UK, Br Phap Lai is a regular on the monastic team who spend 10 days with the whole school community of teachers students and parents every 6 months. Most recently Br Phap Lai has been working with a Liberian NGO introducing mindfulness to 8 schools there. He enjoys playing guitar and sharing songs and stories with young people. Richard Brady is a retreat leader, writer, conference coordinator, and educational consultant. He is a founder of the Mindfulness in Education Network, an international organization with 1,400 participants. In 2001, he received lamp transmission from Zen master Thich Nhat Hanh to be a Dharma teacher in his tradition with a special focus on cultivating mindfulness in young people. Richard has lead retreats and offered workshops for educators in the US, Italy, and Germany. Richard is an editor of Tuning In: Mindfulness in Teaching and Learning (2009). Other writings of his are available on the Resources page of his Minding Your Life Website. Richard taught high school mathematics at Sidwell Friends School in Washington, DC for 34 years before retiring in 2007 in order to devote all his energy to supporting mindfulness in education. He is working on setting up a Mindfulness Practice centre in Dehradun, India. He is a Senior Advisor to the World Bank and the International Finance Corporation on Buddhism and Pilgrimage Tourism and is on the advisory board to the Minister of Culture, Government of India. He worked in the corporate sector and later in social advocacy and development, fifteen years of which were with the United Nations Development Programme, managing programmes on volunteer promotion and artisan support across 16 countries, as also initiating the Endogenous Tourism programme in India. He has contributed to a number of books including, ‘Walking with the Buddha’, ‘Planting Seeds… Sharing Mindfulness with Children’, and ‘Volunteers against Conflict’. He has also been a consultant on films including ‘Life of the Buddha’ made by the BBC and Discovery and ‘The Story of India’ made by BBC and PBS. There is also a book written about his pilgrimage ‘In the Footsteps of the Buddha’ called ‘Every Day is Magical’ by Susan Wiget. He has had a weekly programme on Zee TV in India, where he offered teachings on Buddhism and Meditation in Everyday Life. He has been a guest speaker at many forums including to the World Presidents’Organization, the United Nations Development Programme executive board, the Confederation of Indian Industries, the Government of India’s Buddha Purnima divas and a number of educational institutions, corporations and museums East and West. Shantum Seth studied at The Doon School and St Stephen’s College in India and then graduated in Development Studies with his thesis in Gandhian Economics from the University of East Anglia, while also graduating in Footwear Technology and Management in England. His commitment to a cross-cultural and global understanding has led him to travel to more than 50 countries and nearly every state of India. Having lived in England, the USA and France for over 14 years, he now lives with his family in Mussoorie, in the Indian Himalayas. Katherine Weare is Emeritus Professor at the Universities of Exeter and Southampton. 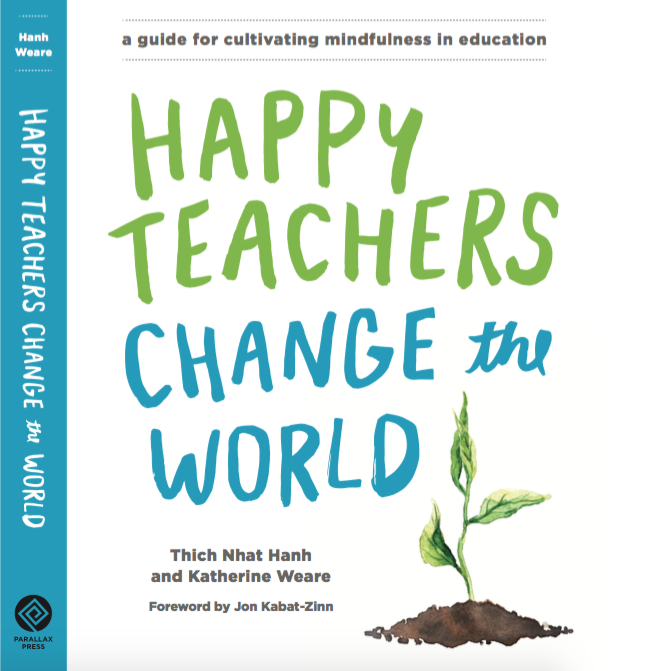 Her current interest is linking mindfulness with developments in education and exploring how mindfulness can help schools in their everyday tasks of developing effective learners and resilient, self motivated and caring citizens. She is currently working with the .b project, a curriculum for mindfulness in schools, helping MiSP to evaluate it with a controlled trial. She also works with other school based programmes including the Mind and Life Institute set up by the Dalai Lama and Wake Up Schools set up by Zen Master Thich Naht Hanh. She is just completing the two year MBCT (Mindfulness Based Cognitive Therapy) course at the University of Exeter to train to teach adults. Weare’s broader field is social and emotional learning and mental health and wellbeing in schools: she is known as an international expert in this area and has conducted several systematic reviews which have informed policy in many countries. Pilar Aguilera is an Associate Lecturer at the Faculty of Education, University of Barcelona. In 2002 she began practicing the teachings of Zen Master Thich Nhat Hanh in Britain, and since then her personal and professional aim has been to work towards the interconnection between the education of emotions, mindfulness and cosmopolitan citizenship. She studied a Master (Ed) in Institutional Management and Leadership at the University of Southampton where she specialized in the implementation of the English programme Social and Emotional Aspects of Learning (SEAL). She is currently a doctoral candidate at the University of Barcelona and has been a Visiting Scholar for two years at the Institute of Education, University of London. She has practiced with the sanghas of Edinburgh, Southampton and London, is co-facilitator of the sangha of Barcelona and coordinator of Wake Up Barcelona through which she also organizes with her peers collective meditations in public city squares. In 2011 she introduced the Wake Up movement in Spain and was the main organizer of the Wake Up Spain Tour in 2012. She is a collaborating researcher of the Wake Up Schools international initiative and trainer of the ‘Wake Up Schools: Mindfulness Applied to Education’ course at the ICE of the University of Barcelona. She has participated as a panelist, workshop facilitator and researcher at the Educators’ Retreats of London and Toronto, and co-organized the New Years Educators’ Retreat 2013 at Plum Village with Miles Dunmore and the monks of Plum Village. She is now coordinating the International Conference and Course on Mindfulness in Education in Barcelona as part of the organizing committee of the first Spanish Tour with Master Thich Nhat Hanh. Tineke and Claude offer trainings and workshops for teachers and other staff in Dutch schools. Claude feels and has experienced that practicing mindfulness greatly benefits the wellbeing of everyone in the microcosmos of a school. In 2015 Tineke and Claude have organized and co-led the first Dutch Teacher Retreat with Brother Phap Xa and Brother Phap Kinh. They are now planning an International Teacher Retreat together with the monastic community and Wake Up Schools office team. Tineke Spruytenburg gave up her academic career to become a primary school teacher when she was 48. A few years later she followed her intuition and lived with the Plum Village fourfold sangha for 2 years. She was trained ‘on the job’ working in close harmony with the monastic sisters in Children’s Program. Thầy transmitted the 14 mindfulness trainings to her in December 2006 and gave her the name True Elegant Fragrance. Tineke travelled with Thầy and the community through Vietnam on the 2007 reconciliation tour. The deep teachings Thầy gave about reconciliation helped Tineke reconcile with her mother after many years of separation and suffering. Back in The Netherlands Tineke started teaching children with special educational needs, using the practice for her own wellbeing and the wellbeing of the students. Tineke initiated days of mindfulness for families with young children in The Netherlands, organizes family retreats in E.I.A.B. and supports children’s program during family retreats there. In The Netherlands she practices mindfulness with children. www.kinder-mindfulness.nl. Together with Claude Acker she brings mindfulness to educational settings. Elli Weisbaum holds a masters degree from the Environmental Studies department at York University, focused on bringing mindfulness-based practices into classrooms. In 2014, Elli joined the faculty at the University of Toronto’s Applied Mindfulness Meditation certificate, AMM-MIND. She spent a year as the international coordinator for Wake Up Schools. Her ongoing work with Plum Village focuses on a holistic approach to education, working simultaneously with teachers, students, parents and administrators to build sustainable inclusive communities. She has recently worked in Toronto, Canada training directors and managers at the organization Me to We, led mindfulness workshops for elementary students as part of a wellness week initiative in public schools, and offered guest lectures for teacher candidates at York University and the University of Toronto. She has organized retreats and facilitated workshops in Bhutan, India, Germany, Canada, the UK and the USA. In 2013 she participated in Thich Nhat Hanh’s North American teaching tour. She is honored to be a grant-making advisor for the Pollination Project, a foundation that gives seed grants to individual change-makers all over the world. Elli is dedicated to the cultivation of a compassionate and healthy society and through her work she hopes to continue walking a path that leads there. Orlaith is the International Coordinator for Wake Up Schools, and works to support educators in their practice around the world. Based in Ireland, she has practiced with Plum Village for 20 years and is an ordained member of The Order of Interbeing. She mentors widely in Ireland, and is founder of two sanghas in Dublin, Ireland – one for adults and one for children. She is passionate about developing fun, creative ways to share the practice with children and young people.